Unitech Wireless, a telecom venture of the realty major Unitech Group and Norway’s telecom operator Telenor, has announced that its upcoming GSM Mobile service will be named UNINOR. The company holds a pan-India UAS license to offer mobile telephony services in each of India’s 22 circles. It has also received spectrum to roll out these services in 21 of the 22 circles and intends to roll out its services in select circles by the end of 2009. 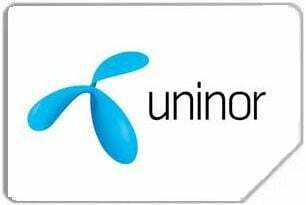 The Uninor name will leverage from Telenor Group’s established marketing and design framework, increasing the efficiency and accuracy when introducing the brand to the Indian market. The brand unifies the global telecom expertise of the Telenor Group and the presence in and understanding of the Indian market of Unitech Ltd. in a common identity. “The announcement of the Uninor name is a significant milestone in the roll-out of the operations in India as we move closer to launch. As in Telenor Group’s existing markets, the Uninor brand will represent our vision and core values,” said Jon Fredrik Baksaas, President and CEO of the Telenor Group. As in several other markets where Telenor Group is present, the new name follows Telenor’s brand strategy, combining the global position of Telenor Group with a distinct local flavor. The Indian mobile market represents a possibility to further enhance the Telenor Group’s position as one of the world’s leading mobile operators. As a long-term industrial player, the Telenor Group is committed to the development of one of the world’s largest and fastest growing telecom markets.